Hi everyone here’s my first post of many to come:) Just a little how I started sandies. It started in Austria were i was living at that moment. I was crouching hats and lots of people loved them and wanted to buy them so I started to sell my hats. Now I can hear you think how did she went from hats to coffee cozies…. In summer of 2014 I learned how to sew from my mom and it was so fun making bags and other little things that I started trying out different projects and came to coffee cozies. Lots of my friends loved them so I wanted to started selling my cozies. 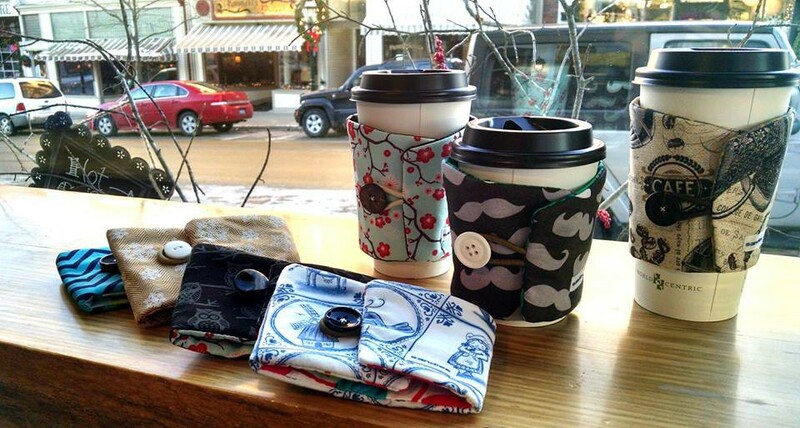 A great friend of mine believed in me and owns a great coffee shop in Petoskey, Mi (North Perk Coffee) and she is the first one to sell my cozies in store. People liked them a lot and I decided to go online and also going to have more shops were they will be available this summer. Now almost a year after making my first cozie, here am I and can proudly say welcome to my shop!